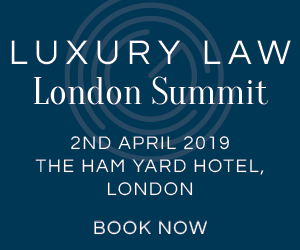 Ahead of the Luxury Law New York Summit we caught up with one of our speakers, Elnaz Zarrini, Associate at Morrison Foerster, to ask her what she felt was the one single factor that would provide increased opportunities for the luxury sector, if luxury brands would be better or more poorly protected in five years and what is the most common legal challenge for eponymous fashion brands. 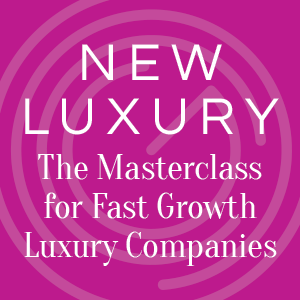 GLP: What would you say were three key challenges facing luxury businesses over the next five years? EZ: There are several, which stem from the acceleration of e-commerce in the luxury industry, specifically the retail sector. For one, e-commerce for the retail industry is projected to occupy a 25% market share by 2025, which will force luxury labels to adapt their marketing strategies.One such result will be the reduction of brick-and-mortar stores, not only to cut costs but also to maintain the perception of brand exclusivity. Additionally, the rise of e-commerce has resulted in greater choices for consumers, which in turn has led to a waning of brand loyalty, with customers switching between retailers and online/in-store channels from purchase to purchase, depending which best serves their needs at the time.Social media is another by-product of the acceleration of e-tail, with Instagram influencers and companies hoping to capitalize on the increased market share through social media purchases. 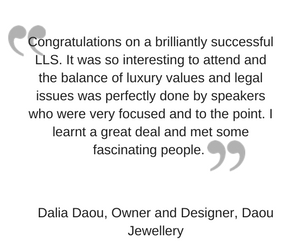 However, the biggest challenge for luxury brands will be to make optimum use of social media without compromising the brand’s core values. 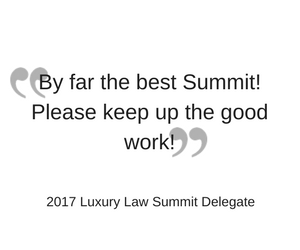 GLP: If you had to name one single factor, which will provide increased opportunities for the luxury sector over the next five years, what would it be? EZ: Social media. A strong and modern luxury digital marketing strategy is essential if brands want to continue to engage with the new generation of affluent consumers. GLP: Do you expect to see more M&A activity in the luxury sector? And if so, why? EZ: Yes, definitely. Luxury brand consolidation is at an all-time high. The race to build a global fashion luxury group, which has been dominated by European conglomerates like LVMH and Kering, has spread to American soil. Reasons for such consolidation include perhaps an effort to counterbalance any brand-name dilution that certain labels have experienced in their attempts to expand their affordable luxury brand (as in the case of Michael Kors’ acquisition of Versace and Tapestry’s acquisition of Kate Spade and Stuart Weitzman), to diversity luxury goods holdings, and expand their e-commerce presence. GLP: Would you say that the luxury sector is behind or ahead of the game when it comes to cyber security? And why? EZ: Behind. I think there are so many moving parts in the fashion industry for brands to stay on top of, most brands are just reactive. Putting out fires. Few brands have gotten ahead on cyber security. 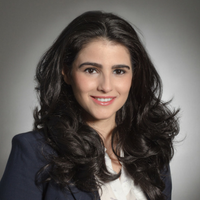 GLP: For eponymous fashion brands, what is the most common legal challenge? EZ: There are challenges from both the designer’s perspective and the investor’s perspective. From the investor’s vantage point, there are risks that the designer behind the eponymous brand may go off-brand, especially since the investor cannot control the designer and legally, cannot demand that the designer continue to work for the namesake brand. For example, John Galliano’s anti-Jewish tirade wreaked havoc on his own brand. And for obvious reasons, from the designer’s perspective, those designers who have lost control of their namesake brands are all too familiar with the pain of parting with not only their name, but their experience with the brand and the history of the brand. Examples of designers who have sold or lost control of namesake brands famously include Joseph Abboud, Jimmy Choo, Hervé Léger, and Jil Sander, among others. 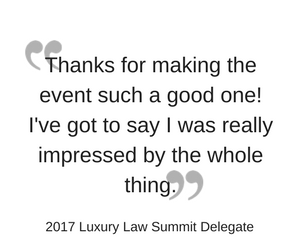 GLP: Apart from your own, what session at the Luxury Law Summit are you most looking forward to joining? EZ: I’m very much looking forward to the Off-White panel. It’s one of my favorite brands!